Home & Account (Team management website) - Disaster Surveyor Systems, Inc. 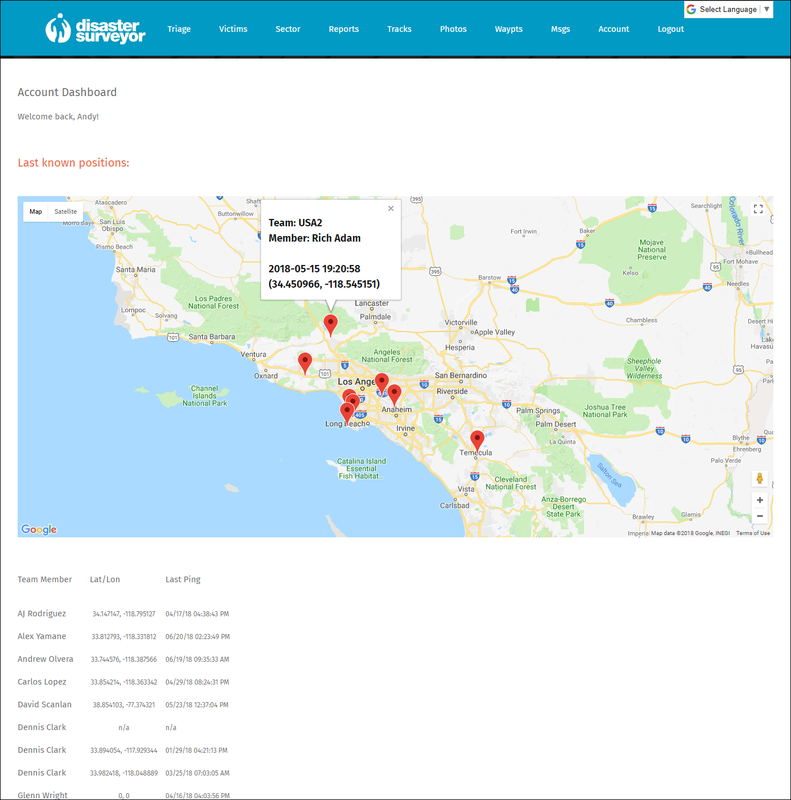 The commander edition website displays last know position of all team members on a map via their app’s last reported GPS location. Team member positions are displayed in a list below the map on the Commander tool home page, and can be controlled by selecting which team members to display in the ‘Account’ section of the website tools. 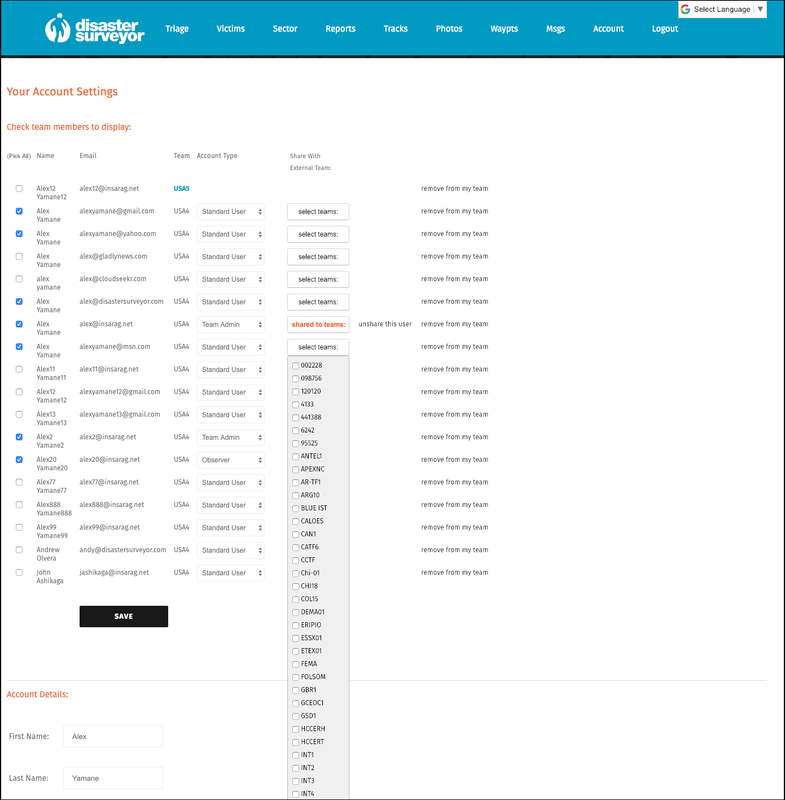 The ‘Account’ page also allows for updating of email, password, name, and the team ID (which must be the same for all users to be grouped in the same team).